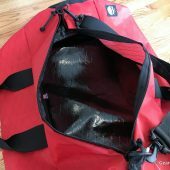 The bags are made with X-Pac and Lite Skin fabric, which are multi-layered laminated nylon fabrics that were originally used as a tough sailcloth for sailboats. These fabrics are extremely lightweight but are tough as nails. Per Flowfold, they have the best strength to weight ratio for any fabric on the market. These fabrics make Flowfold’s bags super light and easy to carry. 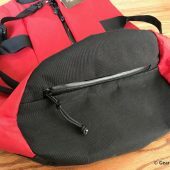 The exterior zippers on each bag are high-quality YKK water-resistant zippers that utilize a special vinyl tape that seal out moisture when the bag is zipped closed. You can take your bags out in the rain or canoeing on the river, no problem. The Flowfold Denizen Limited 18L Tote Backpack weighs in at only 1 pound but can carry a ton. 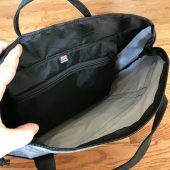 The main compartment measures 11” x 17” x 6” while also containing an internal 15” laptop sleeve, internal zip pouch, and a deep outer pocket. 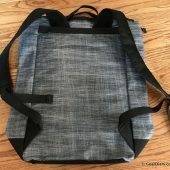 This bag is built like both a backpack and a tote, with padded straps on the back but also tote straps on the top, so you can carry it however you want to. While the padded straps are not the most robust straps I’ve seen on a backpack, they weren’t uncomfortable. Plus, they fit the minimalist style to which Flowfold’s products seem to adhere. The Conductor Limited 40L Duffle Bag weighs in at only 12.7 ounces, but this bag can carry your entire wardrobe for a long weekend. The entire bag is 22” x 12” x 12”, which is airline carry-on compliant. It also has a small outer pocket that measures 12” x 12” that’s perfect for carrying your wallet, keys, phone, etc. 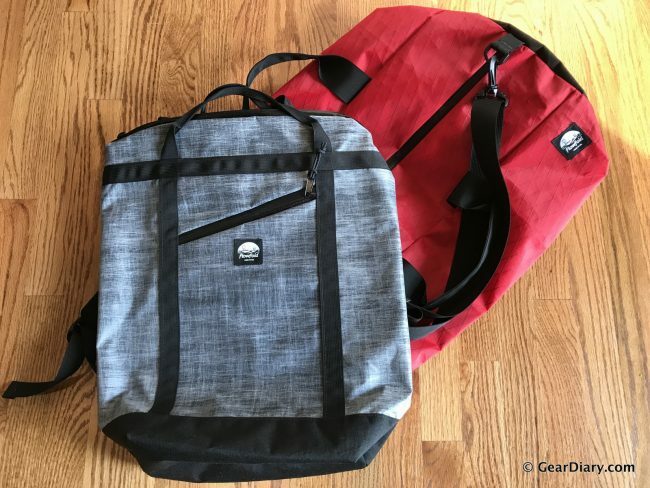 After using both bags for trips to the gym and a weekend getaway, I can confirm that these bags are light as a cloud but carry a decent amount of gear. They’re comfortable to carry and feel like they’re made very well. The weather-resistant zippers are more difficult to open than normal zippers, but that’s par for the course with this type of zipper. You also get used to it very quickly. I’m a fan of Flowfold’s minimalist products as well their mission. Flowfold is a member of 1% for the Planet and they use reclaimed materials, which are environmentally friendly. They believe in doing good; they give back to their community by volunteering their time to clean up local parks. They provide a lifetime warranty on their products, so you know they’re built to last. 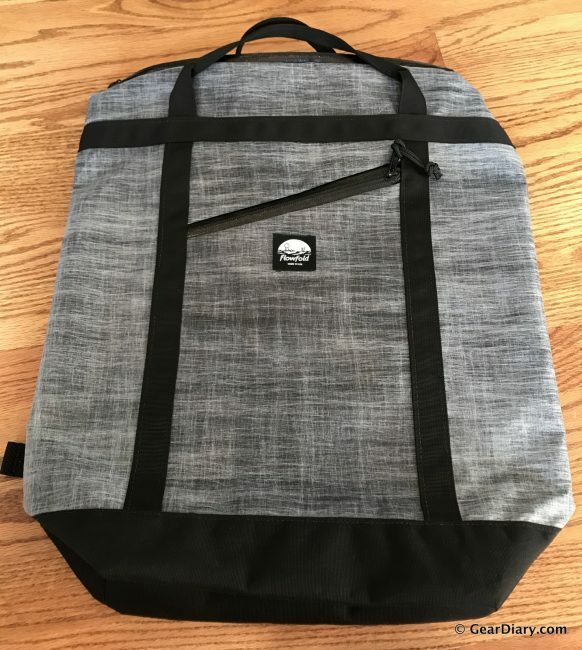 You can purchase yours directly from the manufacturer; the Denizen 18L Limited Tote Backpack sells for $129 while the Conductor 40L Limited Duffel sells for $98. 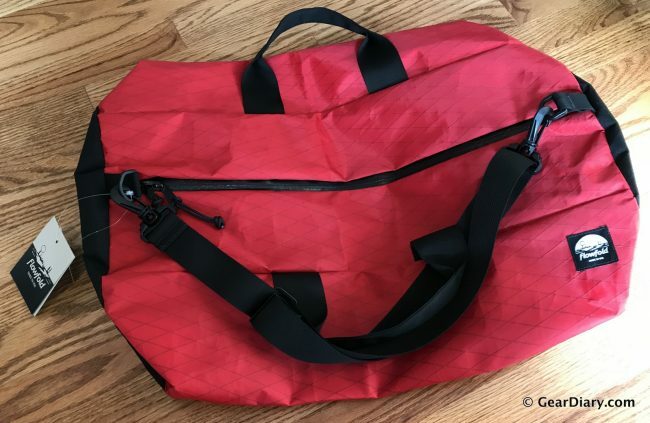 Source: The Flowfold bags were a manufacturer supplied review samples.